It's very common that when CRT monitor is being rotated (turning to portrait mode) while it is turned on it becomes discolorized, the color tends to go back to normal after a few minutes. So when rotating a CRT monitor, it's better to turn it off first. The components of a CRT monitor which are very heavy, tend to be stressed when rotating the CRT monitor, the stressing effect is more pronounced when you are rotating the CRT monitor while it's turned on. I have a pivot-capable LCD monitor at home, but there's no discoloration happening even I'm rotating the LCD while the power is on. So that's the explanation for the yellow. 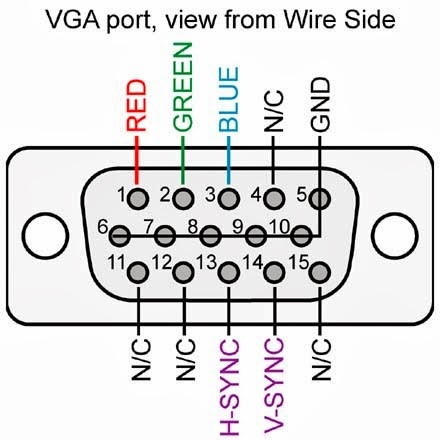 When rotating a VGA cable-equipped LCD monitor, the VGA cable is loosening a bit, the RED and GREEN pin still sticks, while the BLUE is loosening a bit when the VGA cable is being oriented vertically. RED + GREEN === YELLOW, that's for 90 degree. When rotating to 180 degree the screen discolorized to CYAN, i.e., the RED loosens, leaving the display with just two color signals instead, GREEN and BLUE, which when combined becomes CYAN. As for why discoloration doesn't happen on HDMI and DVI for that matter, both cables are not analog, i.e. they don't carry signals, what they carries are data instead. So there's no such thing on an HDMI-equipped LCD for a BLUE pin that loosens while rotating it. Don’t fell in love with code so much. Love smart and intuitive data structure instead, achieving that, the code almost writes itself. The smarter the data structure one have, the lesser the code one needs to write. If you are passing the ordinal (this.x) of the clicked bar chart to the service, i.e. Goals = 0, Self-Assessment = 1, Review = 2, etc., your code need to interpret on the service layer what was clicked by the user. 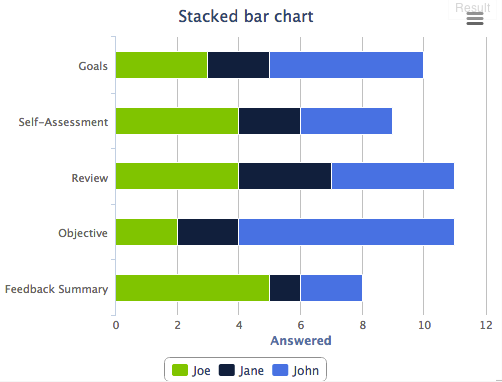 And what's more annoying is if there are some gaps in the chart, say the chart can be customized, the Self-Assessment is not present on the chart, the rest of the bar charts need to have their ordinal be adjusted too. Goals = 0, Review = 1, Objective = 2, etc. So on the service layer, the code should not blindly interpret that 1 is equal to Self-Assessment, as 1 is now a Review. If the data being passed to service is not smart, the code on the service need to re-interpret the meaning of the data being passed to it, the code on the service need to be very smart, this makes the code very brittle when there are regular changes on the app. Accomplishing that, the code on the service layer won't have a need to re-interpret the meaning of the value being passed to it. Call the usage of smarter data structure a domain-driven development if you will, a dumb data structure such as ordinal doesn't carry any semantics, the quality of the code will suffer consequently.